So many bobs, which one to choose? I’m not talking about men here! 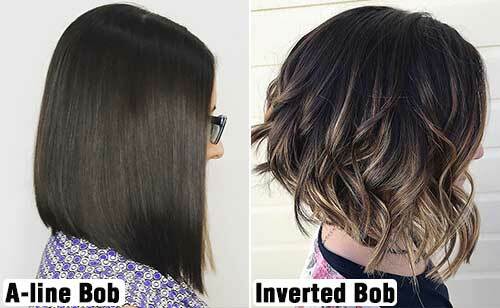 If you’re confused about which bob to choose, consider the inverted bob. The WHAT bob, you ask? Allow me to explain. 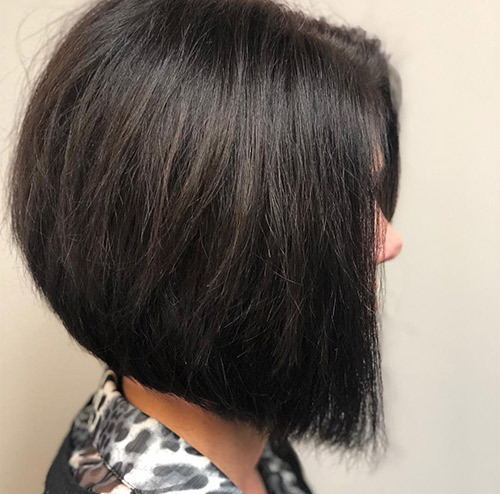 The inverted bob is one of the most sought-after haircuts of 2018. 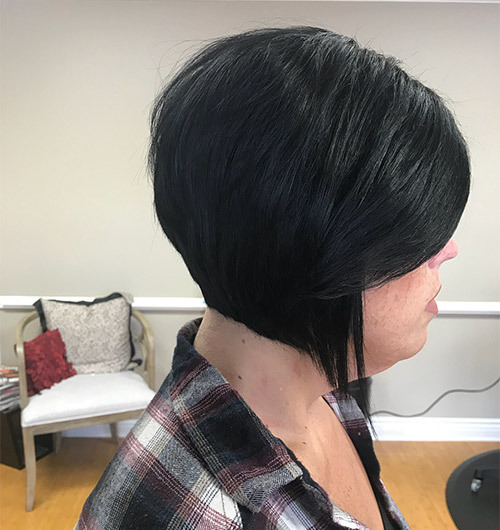 It’s a face-framing bob that accentuates your facial features. You can style it according to your preference to suit your personality. 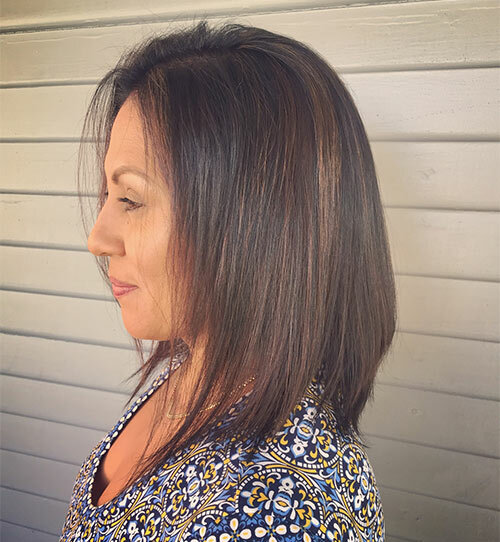 Need a clearer understanding of what an inverted bob is? We’ve got you covered! 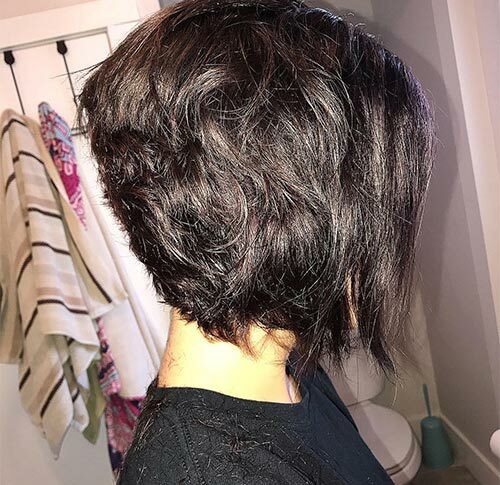 What Is The Inverted Bob? 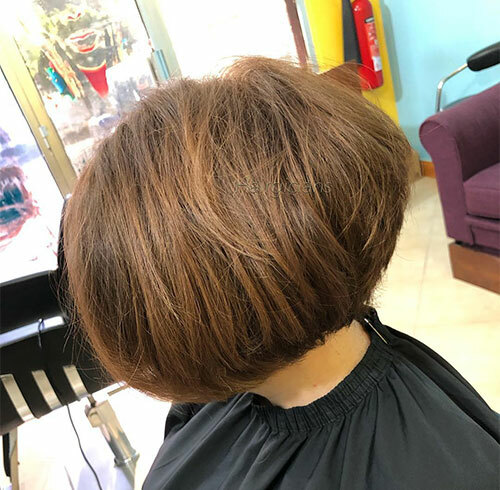 The inverted bob is a bob with layers stacked at the back that gradually get longer in the front. The layers curve along the shape of your head. 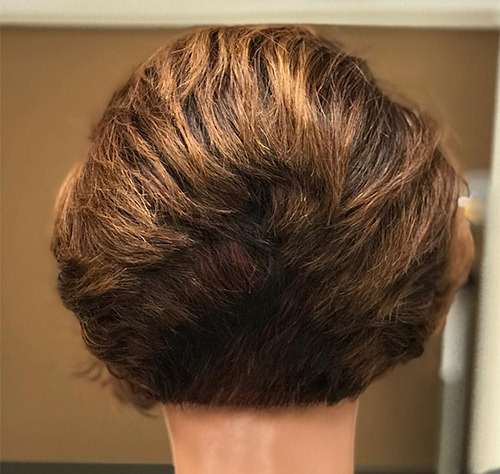 It is also called the gradual bob and stacked bob. Are you thinking that the inverted bob sounds an awful lot like an A-line bob? I don’t blame you because they are quite similar. However, there some key differences between the two. Let’s check them out. 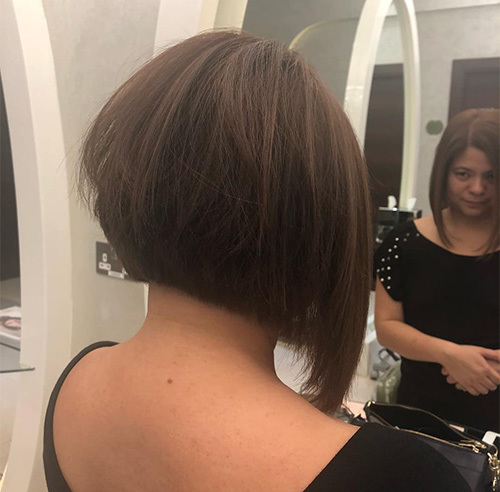 The major difference between an A-line bob and an inverted bob is the layers at the back. 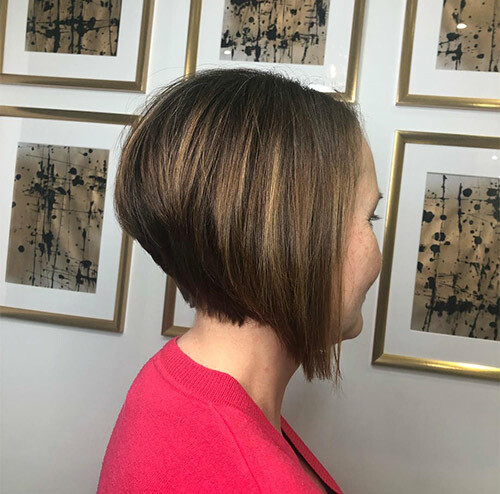 An A-line bob may or may not have layers stacked at the back, but an inverted bob always will. 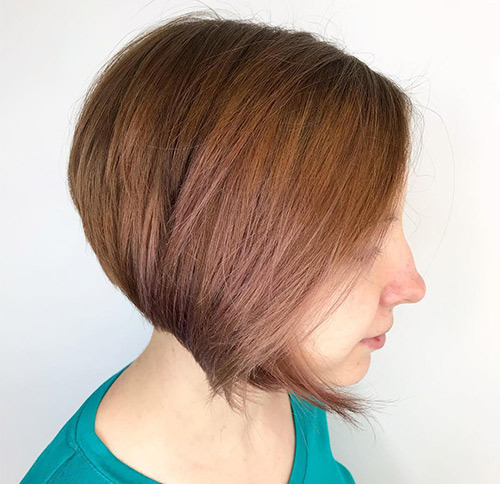 Also, inverted bobs are softer in their transition from short to long while A-line bobs can be drastically angled cuts. 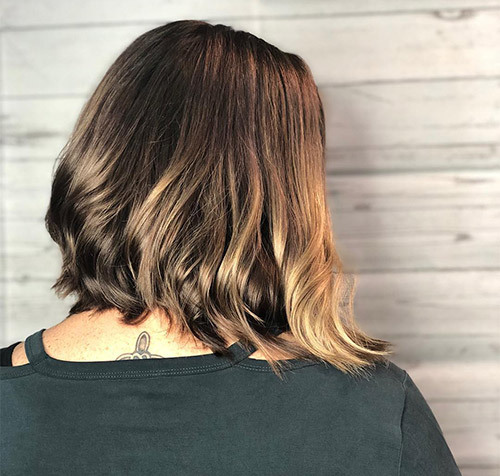 Now that you know the difference between an inverted bob and an A-line bob, let’s talk about what you need to consider before getting an inverted bob. 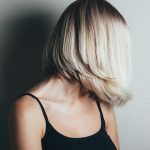 What Do You Need To Think About Before Getting An Inverted Bob? What is your face shape? 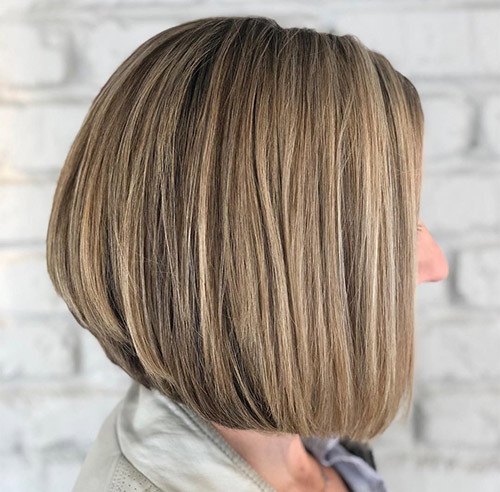 Ask your hairstylist whether a graduated bob will complement your face. The graduated bob suits almost all face shapes. Cutting layers to slim down wide cheeks and adding bangs to cover a wide forehead are two things you can do if you have a round or square face. If you have a square face, make sure your bob ends below your chin. This softens the angles of your face. Layers mean constant maintenance and regular trims. You’ll have to trim your hair at least once a month to keep the haircut looking fresh. In the case of some hair textures, getting layers will mean having to style your hair daily. Keep a round brush and blow dryer handy. My roots tend to get greasy quickly. Therefore, when I cut my hair short, I had to wash it every alternate day. So, my fellow greasy-haired ladies, beware! 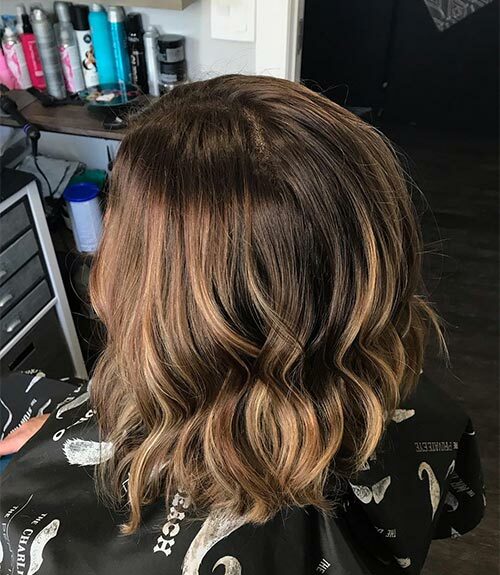 Ready to take the bob plunge? Great! Read on to know which of these 30 stylish inverted bobs will suit you best. You’ll never want your hair long again after this. Blonde comes in many shades. You can get a brilliant champagne or a beachy sand blonde. Or, you could get all the shades of the same tone (warm or cool). If you have a cool undertone opt for a cool blonde blend, and if you have a warm undertone go for a warm blonde blend. See how this bob abruptly gets longer in the front instead of gradually? I love it! I also like that the top layer at the back looks lighter, and it gets darker as you reach the final layer. It adds oodles of dimension to the bob. Have you ever had one of those days when you have tons of work, and you have a hot chocolate to take a breather? Everything just seems easier after that. Time seems to pass in slow motion. Take that stress-buster to your hair and add some waves to it to calm you down. 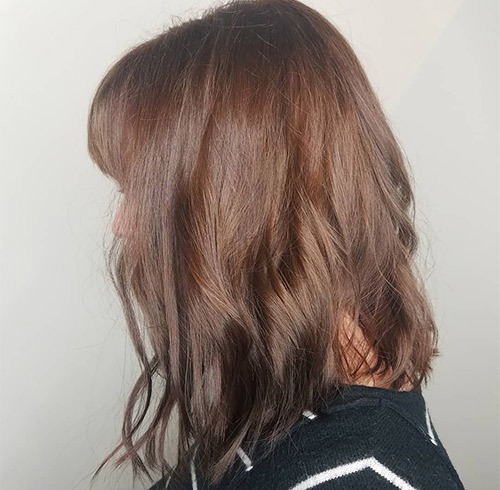 This inverted bob starts off with a dark brown shade that gradually turns into light brown and blonde towards the front. 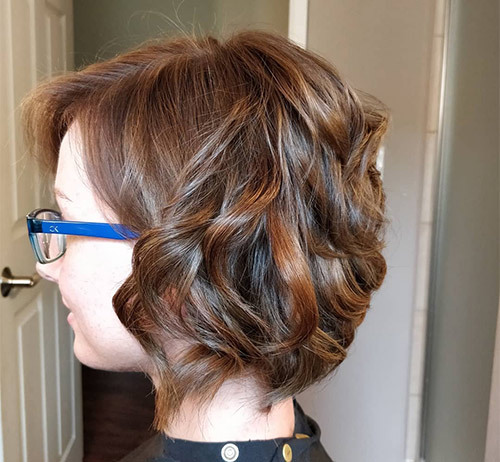 Its woody brown dimension adds tons of elegance to this hair look. Marble cake, anyone? 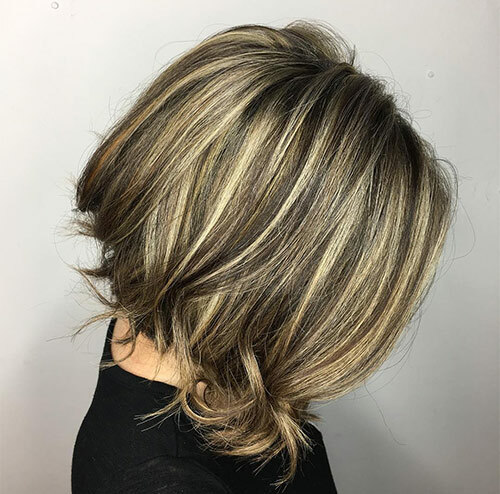 Gorgeous shades of blonde and brown merge to bring us this delicious blended bob. The curly ends in the front are the highlight of this look. Think of cutting through shiny chocolate glazed icing to find a rich chocolate cake within. You can try, but you can’t stop smiling! That is what this inverted bob reminds me of. Whenever I see fine sand at the beach, I always want to shape it into a castle. The blonde locks on this bob give me the same feeling. If I had this glossy hair, I would style it in a new way every day in lace braids, a faux Mohawk, and what not! 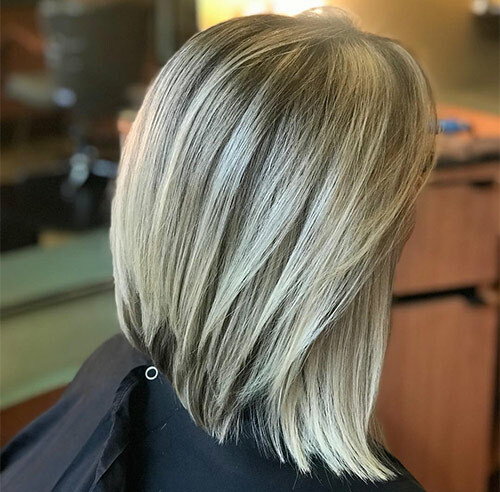 Lighter blonde at the top that bleeds into darker shades of blonde – this blonde dimension is ah-may-zing! See how the light blonde locks soften the layers? This will create a stunning face-framing effect. Back in the early 19th century, it was a trend to flaunt a deep hairline curve at the back. 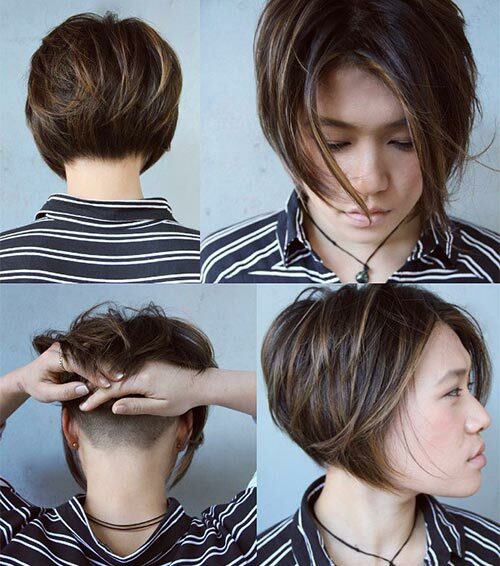 This inverted bob has its own spin of this fashion statement, and it looks pretty cool. If you want to take it up a notch, try adding a fun pattern to the shaved hairline. The black bob is synonymous with edgy anime characters. 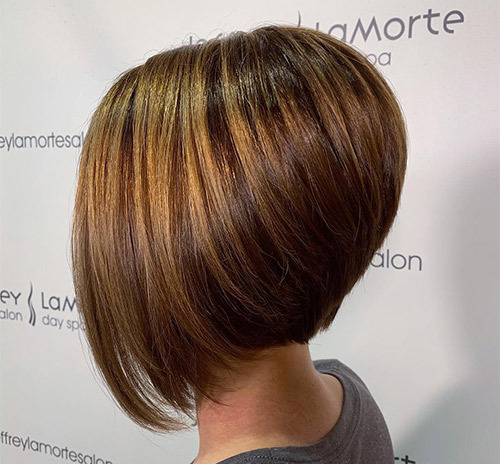 This haircut makes it easy to see the stacked layers. I love that even though her hair is short, you can clearly see the angle at the bottom. 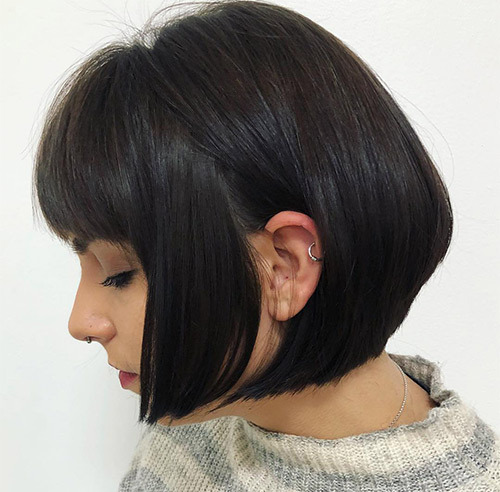 Say hello to the perfect tomboy bob! The short layers at the back and chin length hair in the front add a playful touch to this hair-ttire! (See what I did there? I combined hair and attire to…forget it). 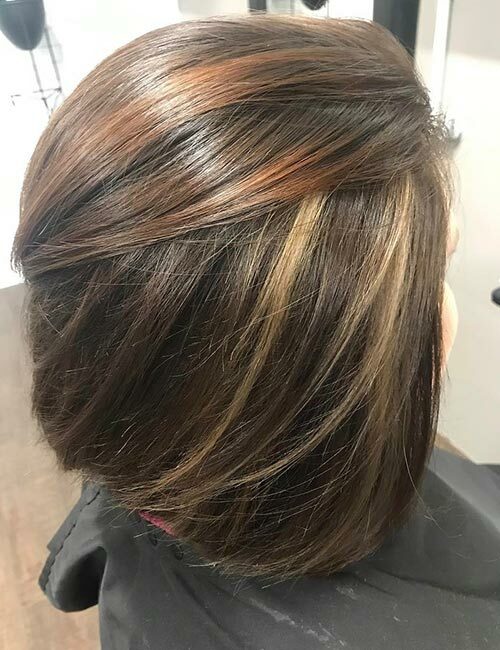 Auburn is the perfect hair color for all seasons. It gives your hair a nice glow in summer, blends in perfectly in fall, brings warmth to winter, and gets our hearts ready for spring. LOVE! 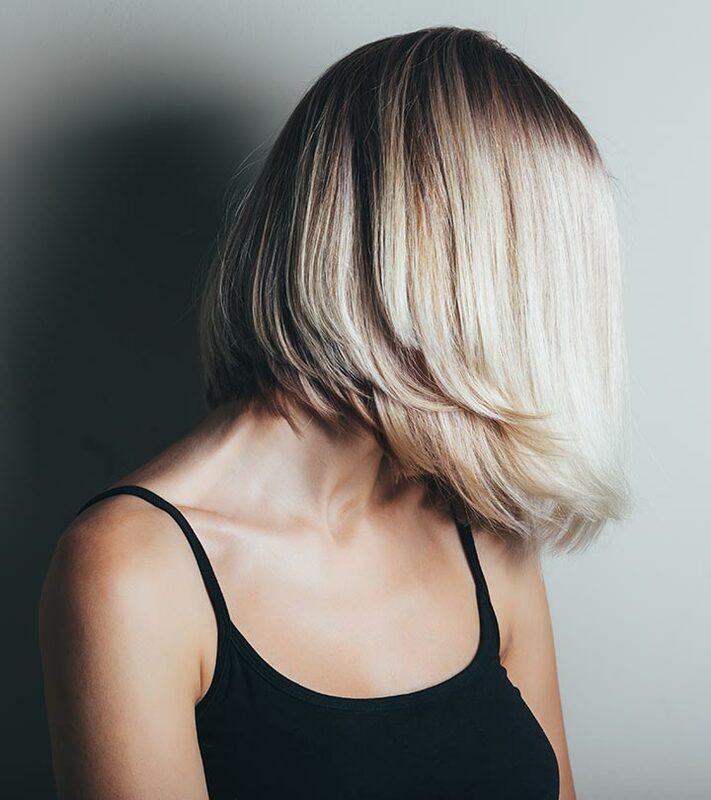 Choppy hair paired with an inverted bob makes for a killer look. 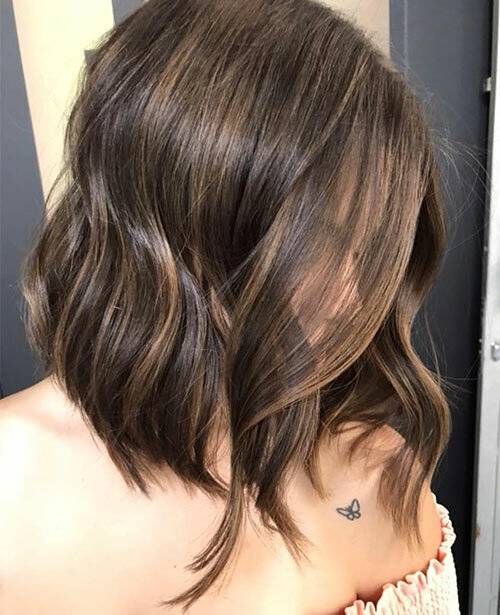 The brown locks here give this bob a soft look. This is the perfect hairdo for those hot summer days when all you want to do is tie up your locks. Ladies, raise your hand if you’ve never wanted voluminous locks. I bet none of you raised your hand! Everyone wants lush, thick tresses. If you have short hair, get a thick inverted bob to add volume to your hair. 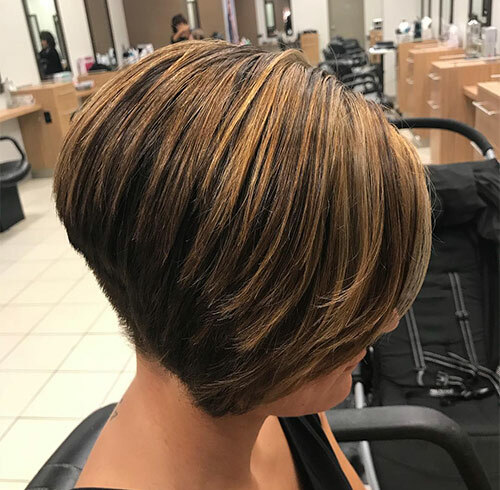 Just look at the angle on this bob. It is PERFECT! 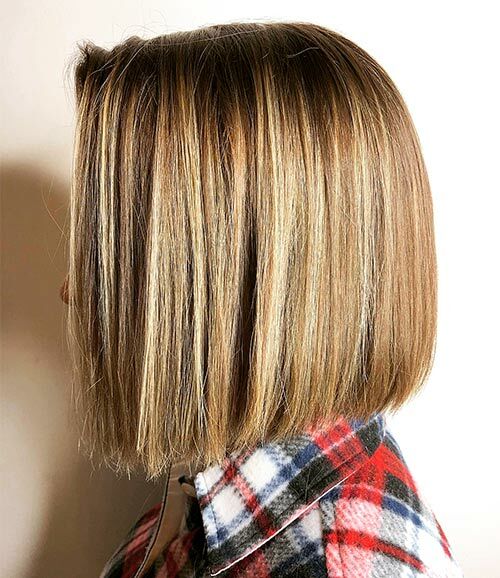 If you’re gonna give up your locks for a bob, make sure it looks just as cool as this one. Thin, messy curls can be a girl’s best friend instead of her frizzy enemy. Apply some curl defining cream to your locks after you wash your hair. You can also scrunch your hair and apply hairspray to enhance this look. Look. At. That. Curve! That right there is the perfect curve that all of us dream about. Now is the time to make it possible! 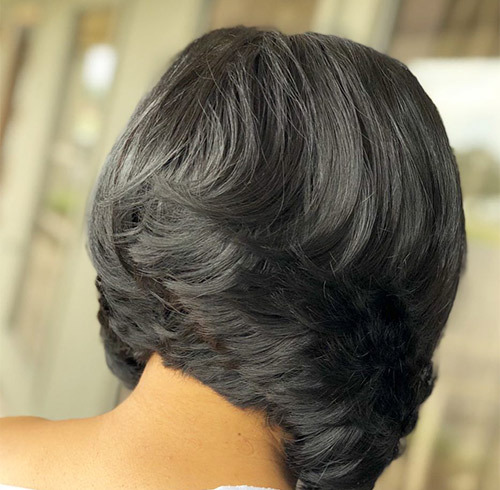 The layers of this inverted bob are lovely and soft, and they can highlight specific features of your face when paired with the right makeup. Oh no, you woke up late this morning? 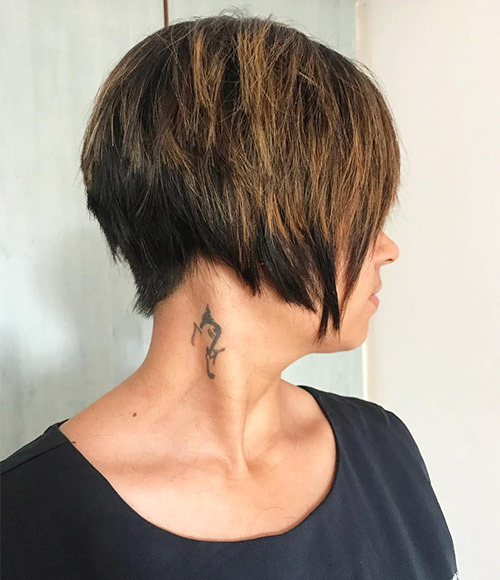 Well, if you had this inverted D bob, all you’d have to do is run your fingers through it to neaten it up and be ready in a jiffy! It forms the perfect D at the back. I remember an anime character I used to love who had this hairstyle. A curly bob is the wild child hairstyle I never knew I needed! This curly bob has to have been created by the French. It’s flawless and perfectly curled. Those soft swirls showcase the layers at the back beautifully. 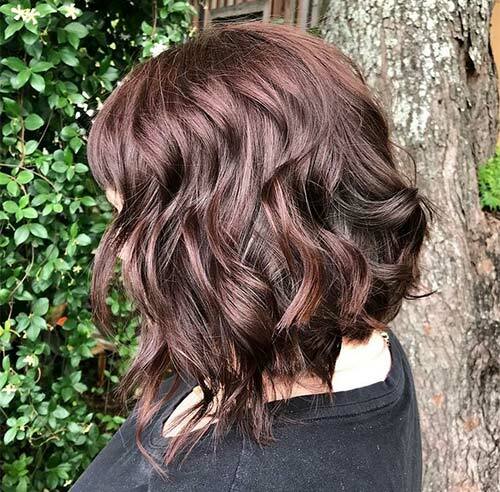 And, in that vibrant mahogany brown, this bob is to die for! 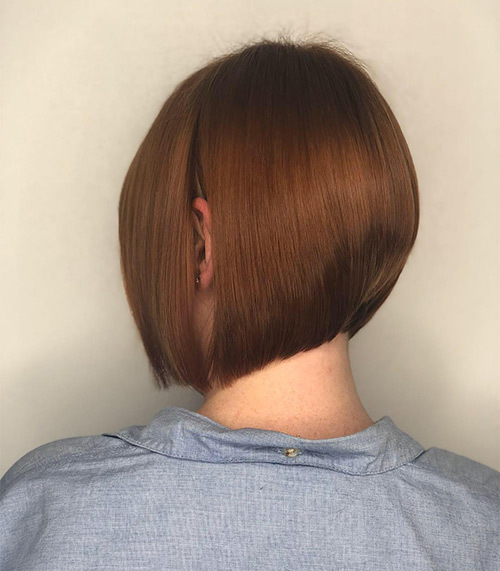 Layers stacked upon layers – this cut is the very definition of the inverted bob. Color your hair plum or burgundy to freshen up your look. 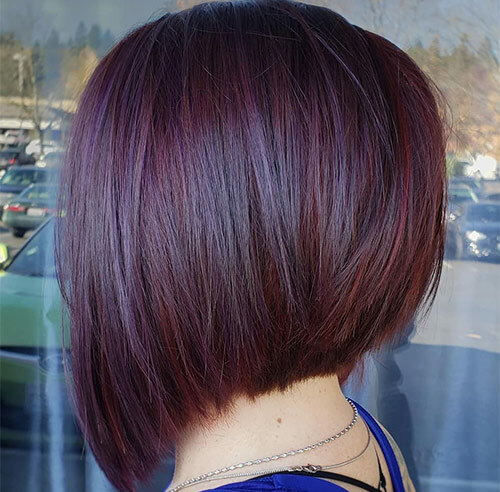 That red shade blended with purple completely transforms this bob! 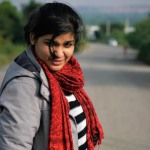 If you have thick hair, it would be a crime not to flaunt it any way you can! But, it can be a problem if you want to cut it off. I have a solution! Pairing a short hairstyle with thick bangs is a total win-win. If you love thick bangs, try this haircut on for size. A cake is never complete without chocolate icing on top. This is the motto I’ve lived by all my life. The icing is what I think this hairstyle looks like. Smooth and brown at the top and dark at the bottom. Some bobs have a classic feel, while others are clearly made for the future. This style is one of the modern ones. 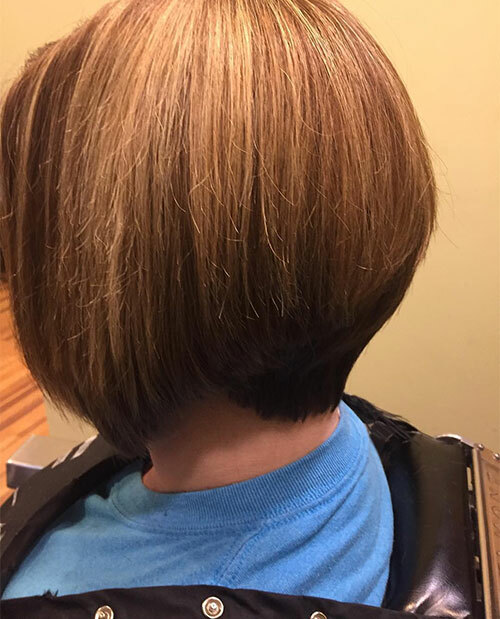 The contrasting colors of this inverted bob add a certain sharpness to it. If you have a diamond face shape, get this bob and keep its length below your jaw. I know I’ve only added two black bobs to this list, but black is a bold color and not one to be taken lightly. Though many women are born with incredible black hair, this black cut requires a chilled-out personality to carry it off. Purple – the color of femininity, unicorns, and every child’s favorite dinosaur. 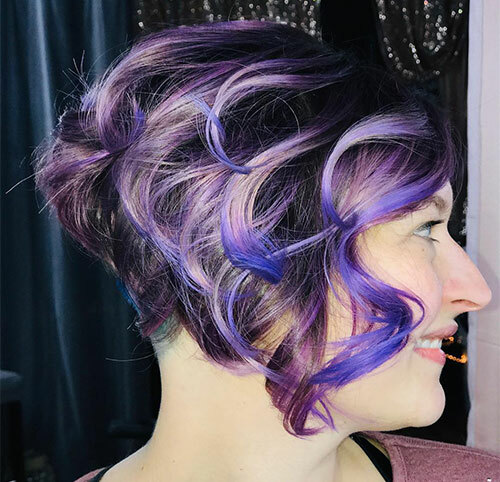 All of us, at some point, wanted purple hair and short hair. Put them together to get your dream hairstyle! I recently got a trim, and, I have to admit, my hair looks stunning when I blow dry it now. On days when I feel down, blow drying my hair is a sure-shot way to get my spirits up. When it comes to the inverted bob, it’s all about the curve. And let’s talk about the hair color! It’s like a sunset in a desert. Beautiful. This hair look is definitely on my must-try list. I like this long hair version of the inverted bob. It’s perfect for the women who don’t want to cut their hair too short. If you want to add an edgy twist to this hairstyle, keep the back short and the front well below your chin. Style it in waves to add some volume to your hair. 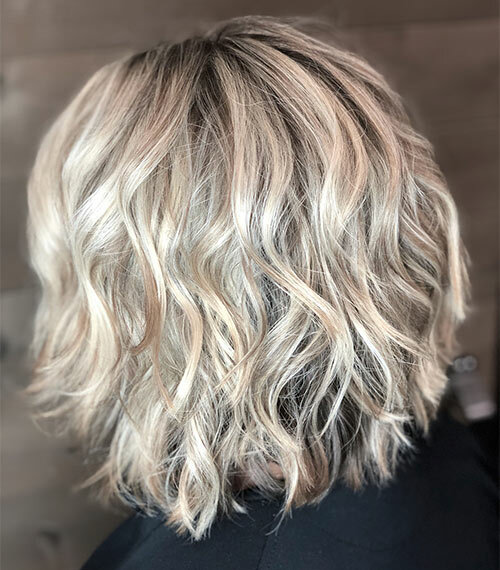 Let your locks soak in the sun rays with this sandy blonde inverted bob. Curl your hair and spritz on some sea salt spray. Mess it up your hair with your fingers, and you are gold. Looks pretty awesome, doesn’t it? 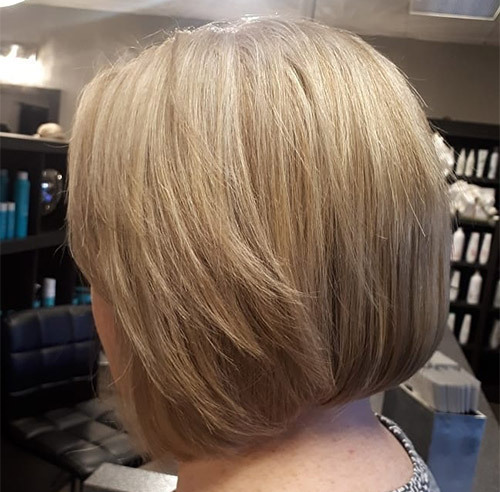 Curved at the beginning and angled towards the end, this inverted bob is in a class of its own. I like how the layers are not blended in completely. They add a soft touch to this look. Ringlets are known to be the perfect curls. You’d think that ringlets would’ve faded out after the Victorian era. But no, they are here to stay. Of course, instead of being tight and small, ringlet curls are now big and soft. This is the perfect bob for weddings, dances, and fairytale dreams. The best thing to do on a sunny night is to go to the beach and chill. Watch and hear the waves move and soak it all in. 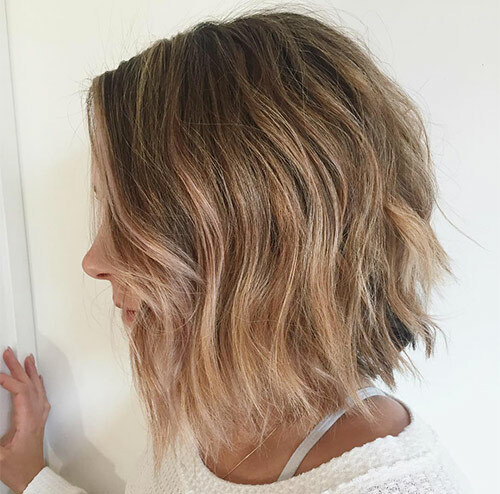 This beachy waves inverted bob is the perfect representation of those nights. Go to the beach right now and tell me if this blonde dimension doesn’t look like sun rays falling on sand! 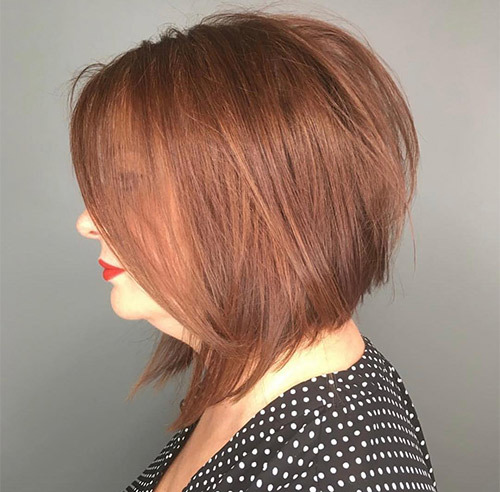 This stunning color job is elevated by the mild inverted bob that it is styled in. 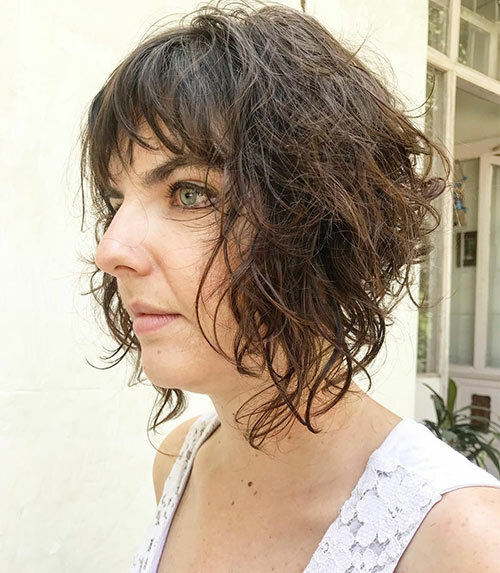 Until you’re ready to go more angular, it’s alright to play it safe with this mild inverted bob. The second I saw this image, it spoke to me. 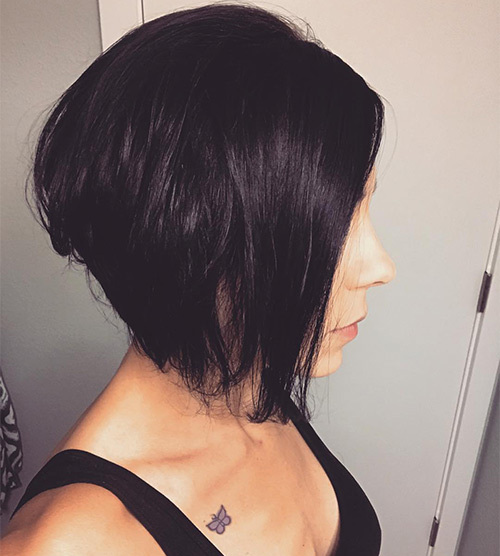 I have thin hair, and I had this preconceived notion that thin hair does not look good in a bob. This hairstyle is giving me so much joy! Peek-a-boo! See those hidden highlights? They’re called peekaboo highlights. You can get them in different colors and in as many styles as you want – plain, dual, or multicolored. Let your inner unicorn fly free and uninhibited with this style of highlights in bright colors. Add a modern twist to a classic bob with this inverted bob with an edgy undercut. Did you know that bobs were angled way back in the ‘20s? Pretty modern for a vintage age, right? That’s it for now, ladies. Those were my top picks for inverted bobs. What’s your favorite inverted bob from this list? And which color would you love to try it with? Let us know in the comments section below.